Ten 3½ x 5 in. blank notecards with envelopes in an acetate-topped box. Nishimura Hodo designed kacho-e (bird and flower) and landscape prints in Japan’s twentieth century shin hanga (new prints) art movement. Published by Takemura Hideo, Hodo was relatively unknown to the Western world until the death in 2003 of American art dealer Robert O. Muller, who had amassed the world’s largest collection of Japanese prints. 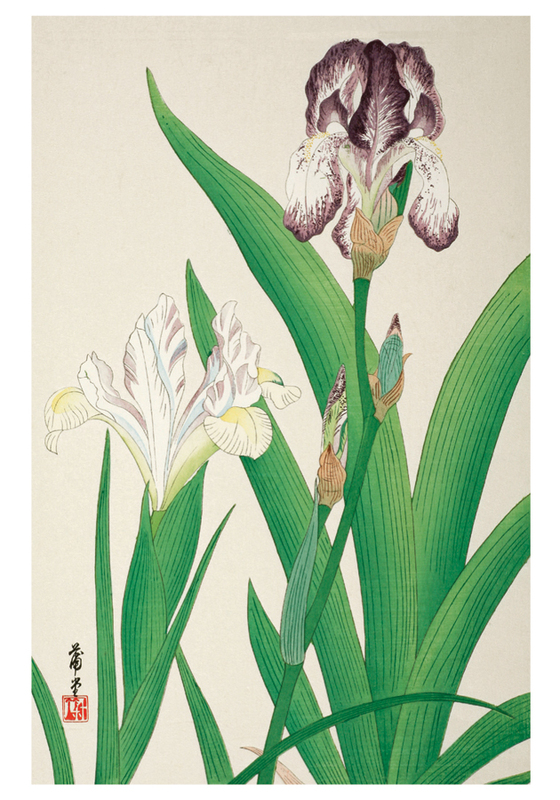 Here, with sensitivity and precision, Hodo interprets the beauty of the iris, which holds a treasured place in the folklore of Japan.